Canada’s next federal election is scheduled for October 19, 2015, but the campaign has begun, claim SEO-friendly headlines. Shadow campaign or not, it’ll be a while until there are candidates in place for 42 of British Columbia’s federal ridings. That’s 42, not 36. 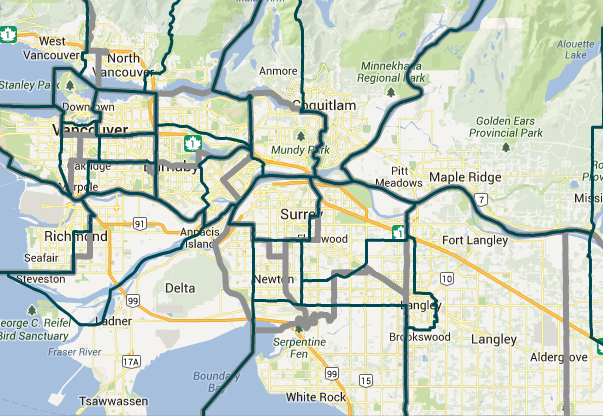 The addition of 30 new ridings across the country, six of them in B.C., means plenty of completely open seats, and plenty of areas where incumbent MPs are deciding which part of their newly-split district they’ll run in. In Rumsfeldian parlance, they’ll be some known unknowns for a while. The grey lines represent riding boundaries in the last four elections. The blue lines represent the new ones. Yeah, this won’t confuse anyone. But there are plenty of known knowns too, and already a few people have declared their interest in being a candidate next election. So let’s go through them. We’ll update this every month – and if there’s anybody I’ve missed, let me know at Justin.McElroy@globalnews.ca. Courtenay-Alberni (née Nanaimo-Alberni): Conservative James Lunney, first elected in 2000, announced in October he wouldn’t seek re-election after his riding boundaries were shifted north to include Courtenay and Cumberland, while losing Lantzville and Northern Nanaimo. No one has announced intentions to run for the seat yet. South Okanagan-West Kootenay (née British Columbia Southern Interior): The NDP’s Alex Atamanenko also announced in October he wouldn’t be running again. 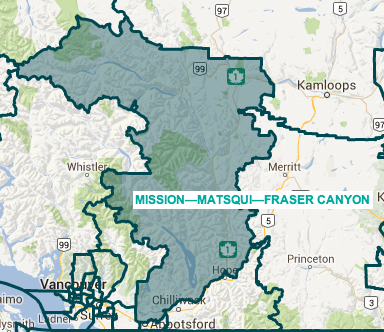 His riding has also changed quite a bit, losing small towns on the east and west of the district, including Princeton, Keremeos, Nelson and Salmo, but expanding north to include Penticton. According to PollMaps.ca, voters in the new riding voted more for the Conservatives last election, 44.8-39.4%. Former Stockwell Day parliamentary secretary Marshall Neufeld, a Penticton real estate agent, has already thrown his hat into the race for the Conservatives, while Regional District Director Margaret Maximenko and Richard Cannings, the provincial party’s candidate in Penticton last election, have declared their candidacy for the NDP’s nomination. Vancouver Granville: This riding goes up and down the centre of Vancouver, using Granville Street as its spine. Redistributed results from last election give the Conservatives 35.3%, the Liberals 30.1?, and the NDP 24.5%. To date, nobody has put their name forward. 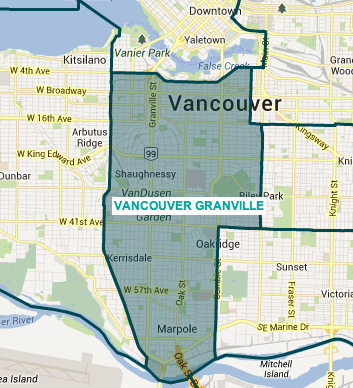 Steveston-Richmond East: The large riding of Delta-Richmond East was split in two (with some minor alternations), and incumbent Conservative MP Kerry-Lynne Findlay says she’ll run in the Delta next election. The seat profiles as a Conservative one next election (they received 54% from polling stations in the new riding last election), but so far nobody has put their name forward. 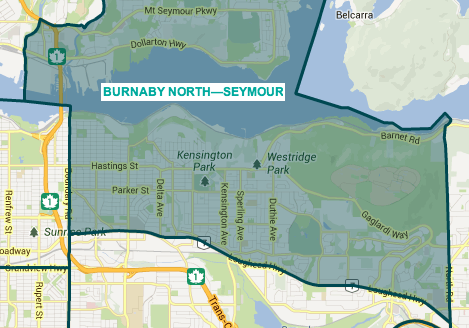 Burnaby North-Seymour: Much maligned by NDP politicians, this new riding takes the eastern half of North Vancouver, the northern half of Burnaby, and smushes them together. Redistributed results from last election give the Conservatives 44.3%, the NDP 35.1, and the Liberals 15.7%, courtesy the right-wing bent of North Vancouver. The NDP’s Kennedy Stewart, currently MP for Burnaby-Douglas (which spans all of North Burnaby), announced he would decamp for Burnaby South next election. So far, only the Liberals have a declared nominee— entrepreneur Terry Beech, who became a Nanaimo councillor at 18, before studying at Harvard and Oxford. Cloverdale-Langley City: 1-seat Langley is now 1.5-seat Langley—one for the rural district (Langley-Aldergrove), and one for the urban township and the neighbouring Surrey neighbourhood Cloverdale. The entire area votes reliably right-wing provincially and federally, and with incumbent MP Mark Warawa saying he’ll run in Langley-Aldergrove, there’s plenty of inter-party competition for this new seat. Five, to be exact: Former Liberal MLA Dave Hayer, former MP Gurmant Grewal, insurance salesman Mike Garisto, Surrey businessman Paul Brar, and former Langley city councillor Dean Drysdale have all put their names forward. Maybe the most hodgepodge riding in BC, this new seat encompasses the farmlands of north Abbotsford, the small Fraser Valley towns north of the Fraser River, and interior towns like Ashcroft and Lillooet nearly 300 kilometres away. It would have gone to the Conservatives by over 20% last election, but to date no one come forward in the riding. Cowichan—Malahat—Langford OR Nanaimo—Ladysmith: The NDP’s Jean Crowder has held Nanaimo-Cowichan since 2004, but she hasn’t decided which of the two ridings that span her old district she’ll run in. Using results from 2011, both would have gone to the NDP, but by margins of less than 5%. Nobody has come put themselves forward in either riding yet, perhaps waiting for Crowder to decide. As for the ridings where incumbents are assumed to be running again? I can’t find anyone who has publicly stepped forward to challenge them yet, with the exception of Liberal John Bolduc Arthur in Vancouver Kingsway. Otherwise, the following MPs are facing nary a challenge to re-election at this point…although that will change sooner rather than later.